Morocco! Sand, camels and desert: more the setting for a Bogart and Bergman movie than a place to go ski touring, you might think. But the High Atlas Mountains are North Africa’s premier trekking destination. 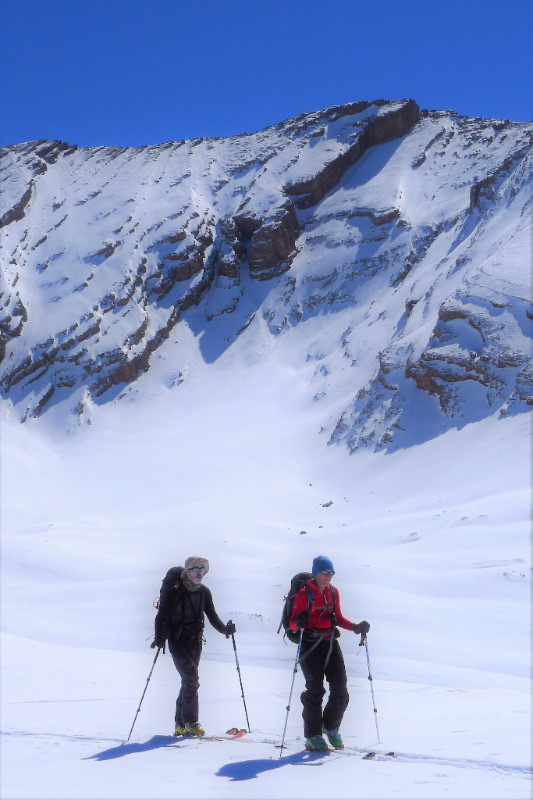 Subject to snow conditions, they offer many ski touring possibilities stretching from the Atlantic Ocean to the Morocco-Algeria border in the east. This season had the best snow cover for 15 years. Our destination was the Central High Atlas with its high plateaux, gorges and box canyons; Jebel M’Goun, at 4068 m the highest peak in this part of the High Atlas, was on our tick-list. The lectures are given by members of the ESC but are open to anyone with a love of the mountains – there’s no need to be a member of any club. 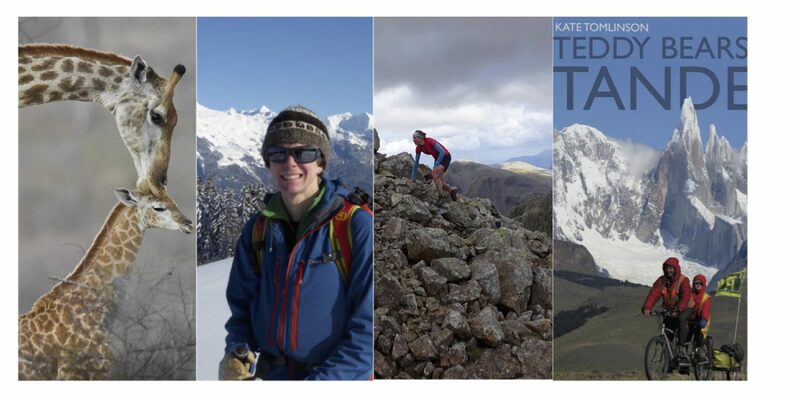 This is the third year we’ve organised the lectures, bringing speakers from across Britain and France so that we get the opportunity to share in their adventures and get inspiration for our own. These events are also about meeting new people as well as old friends, and exchanging information and gear. For anyone wanting to get into ski touring the Bring and Buy part of the evening is a good way of getting started with second hand gear. 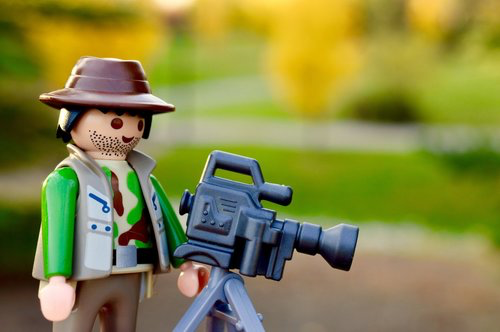 I know people are looking for touring set ups and boots, so do bring your spare stuff along as well as any budding mountaineers you come across. The cost for the evening and meal is £10. Book but pay on the door. The food choice is Beef & Ale Pie or Spinach & Feta Filo Pie with baked potato and Coleslaw. Choose when you book. Gluten Free option available. And for a special Christmas treat from ESC, there’s a lovely Wilf’s-made mince pie for you when you arrive. 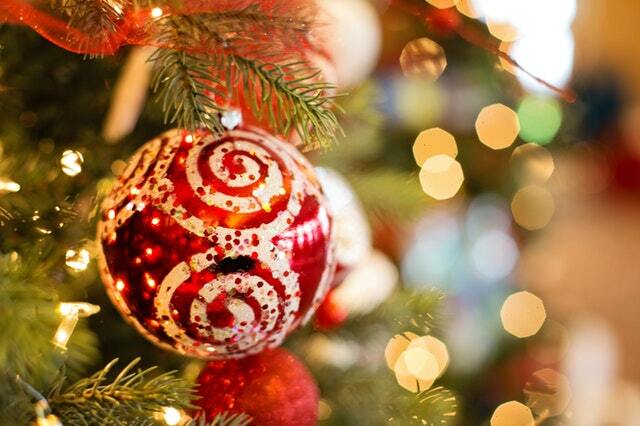 Book now for our Christmas Speciality Evening! This please pre-order your main course when booking, thanks! 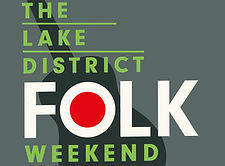 Centred around Hawkshead Brewery’s ‘Beer Hall’, The Lake District Folk Festival Weekend takes place on the 3rd, 4th and 5th of August, 2018, in the picturesque Lakeland village of Staveley, near Kendal. 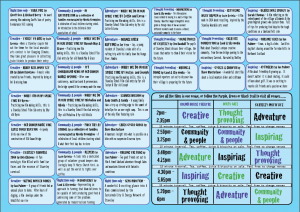 Concerts, Open (free) sessions, Workshops & more based around Hawkshead Brewery, Wilf’s Café, the Village Hall, Café Eclec, The Eagle & Child & the outside space of the Mill Yard. Staveley is perfectly situated; being only 10 minutes from the West Coast Mainline on the ‘Lakes Line’ from Oxenholme Lake District to Windermere, it is also served by frequent buses (Lancaster to Keswick) and boasts a variety of independent shops and cafes. Saturday Ceilidh with music & songs from Melrose Quartet, plus Dance displays! Find out all about it here. Visit us on Saturday & Sunday for free mini gigs. We’re open until 7pm on the Saturday for meals. We run a series of evening talks at the cafe in the dark wintery evenings of February & March, our well-known ‘Slide and Supper’ evenings prove very popular, book early! 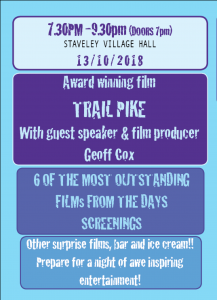 Timed to run in July each year, the Tour de Staveley had its 12th edition in 2018 and is a fantastic way to celebrate the Tour de France in the beautiful Lake District. 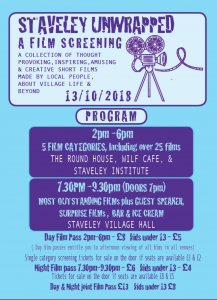 Starting and finishing in Mill Yard, Staveley, there are 2 road courses, offering great views and some challenging climbs, with after-race food provided by Wilfs Café. We also screen the days racing from the Tour de France. Our annual Tour de Staveley social sportive took place on Saturday 14 July and we welcomed 250 riders for a choice of two stunning routes around the lanes of the south Lakes. 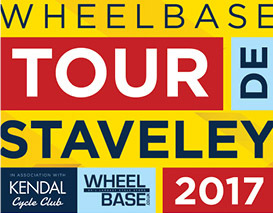 For 2018 we partnered with Kendal CC and all proceeds from the event have been donated to their nominated charity – Wheels for All. We’d like to say a huge thanks to all of the riders, marshals, volunteers, Wilf’s Cafe, Hawkshead Brewery and of course Kendal CC. 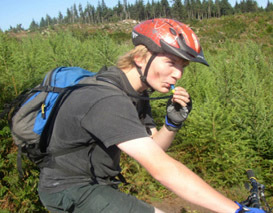 The Sam Houghton Challenge is an annual event, in commemoration of a keen local mountain bike rider who lost his battle against cancer in 2006. Proceeds from the event go to Cancer Research UK. It takes in some of the best local bridleways and some challenging climbs and descents between Troutbeck, Kentmere and Longsleddale. There are two courses, short and long, and several categories for solo, pairs or teams of riders, and for electric bikes. Both courses start and finish in Mill Yard, next to the cafe. A Year Off in 2019 for Slide & Suppers! Closing from 23rd – 26th December inc | Open normal times on 27th December except New Years Day 10am!